In this brand new class, learn how to use the "see-through" or "peek-a-boo" dummy in your cake creations. Going with a seaside theme, we will be putting a mermaid in the opening that actually spins under lights! With this new decorating option, the designs you can come up with are endless! 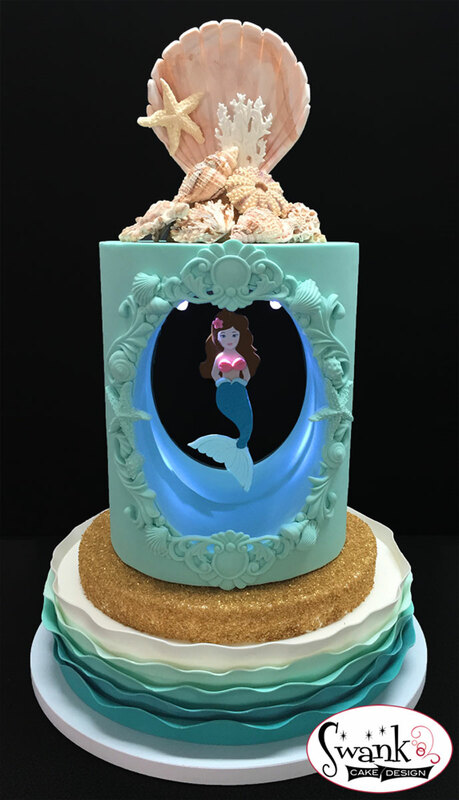 Other techniques learned will include easy ombre waves and realistic seashell molding! All materials included, and tools are supplied for use  just bring yourself and a box! Box to take home project - 14 x 14"
Wayne Steinkopf along with with Chuck Hamilton, co-founded and co-own Swank Cake Design in Cary, North Carolina. Established in 2008, Swank Cake Design opened as a small cake studio, one that specialized in modern decorating techniques and chic designs. In 2011 the business expanded to include a cake decorating school. 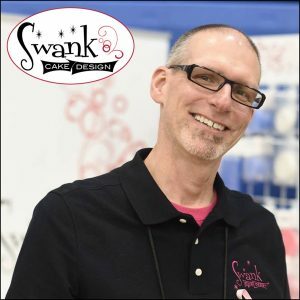 Today Swank Cake Design operates solely as an on line cake decorating supply source and educational resource center. You can also find Wayne and Chuck traveling the US teaching classes and vending at cake shows and events!